[social_warfare]Getting pregnant and having a baby is a huge milestone in your life. It is the transition from girl to woman and to mother. It is a sacred time of change, reflection, and transition. A new life is blossoming inside and out. This can be a joyful and blissful time. But also overwhelming, exhausting and stressful. Especially so if you do not have the support you need to make wise decisions regarding your pregnancy and ultimately your birth. What is a Birth Mentor? Why you need a Birth Mentor? 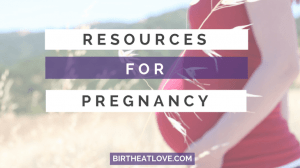 Navigating the vast resources that are available to pregnant women can be overwhelming for even the seasoned research buff. There are so many voices speaking from so many varying perspectives that it can be difficult to confidently make choices regarding your care that are aligned with your values. Often times fear becomes the major factor in decision making rather than faith and love (and I’m talking self love here). You need a curator. A guide to shine the light on what works, what’s positive and ultimately what will help you achieve a birth you can be proud of. This is a pivotal point in your life where the right advice is golden and the wrong advice can lead to undue suffering, emotional scaring and confusion. A Birth Mentor gives you the tools needed to experience an empowered pregnancy and birth. While doulas and midwifes also play a very important role in the pregnancy/birth experience, a mentors’s role is to tap into your inner yearnings and bring those to the surface and then give you the tools to make your experience everything you want it to be. Midwives and doulas are a great blessing to women fortunate enough to have one (or both). The main difference between a mentor and a midwife or doula is that a mentor is not present at your birth. The mentor’s main focus is what is going on in your head and heart during pregnancy. Discovering what blocks may exist that should to be dealt with before labor in order to lead to the outcome you desire. There is a focus on how the spiritual intertwines with pregnancy and the birth journey. Who Needs a Birth Mentor? As a mother to 4 babies all born naturally without interventions, I am on mission to help women achieve a pregnancy and childbirth that enlivens the soul and opens the heart. Each of my pregnancies were very different, but all resulted with the same outcome– a healthy baby and an empowered mama. Each birth taught me more about myself and about the processes that are essential in having a joyful pregnancy and a positive childbirth experience. I want to share my knowledge with you and help you dream and achieve a birth that honors you, your family and the journey that you are on. Make a meal plan that uses real food to provide the nutrient you need to grow a strong healthy baby and feel energetic while doing it. Make a custom birth plan. Evaluate previous birth experiences to help you determine what you need to achieve a birth that honors and empowers you. Help ensure you have the right tools for weeks following delivery. Plot out postpartum care. Give tips for enjoying and delighting in pregnancy. Help get over negative feelings about pregnancy and overcome fears of childbirth/labor. Once you purchase the session you will receive an email with details on how to schedule your first session. All sessions are done at your convenience.